After a long day at work on Friday, I made ramen miso soup to kick off the weekend. I had a hot date with Karl that night, so I wasn’t able prepare a big meal. On our date, Karl took me to the Stanford Theater on University Ave because The Sound of Music was playing! He knows I love the Sound of Music, so I’m pretty sure he was trying to earn some brownie points. In our relationship brownie points has a literal meaning…do good…earn brownie points…get fresh baked brownies. It’s a flawless system. I was in need of one of those “one pot/pan” meals – a meal that requires only one pot or pan to cook in. This dish is just that, plus it’s incredibly delicious and takes no time to make (which is important when you’re already starving after work). 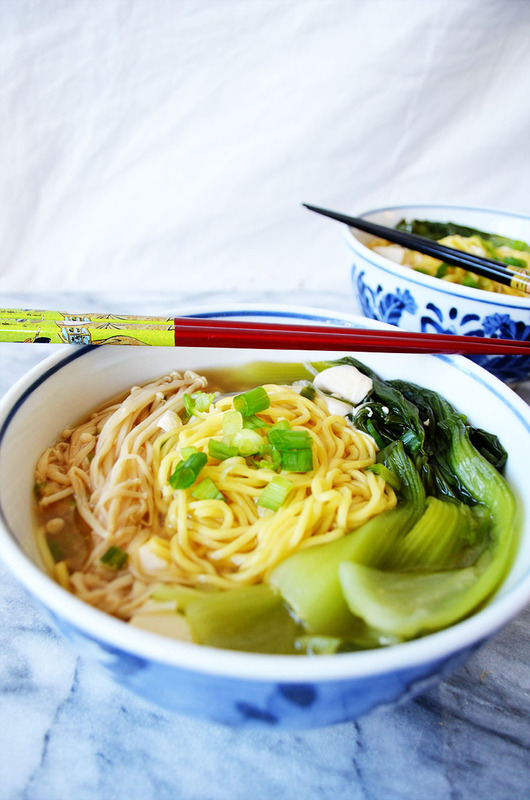 Your local asian market will have everything you need to make this ramen miso soup. This is what dashi looks like. I warn you, it smells and looks like fish food, but don’t be afraid, it is delicious in miso soup. 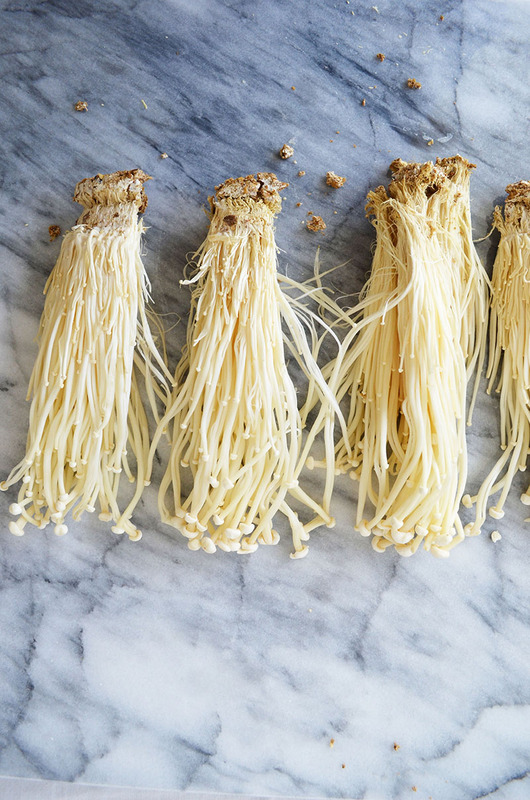 Slice off the bottom to get rid of the roots, then separate the mushrooms into smaller clusters. 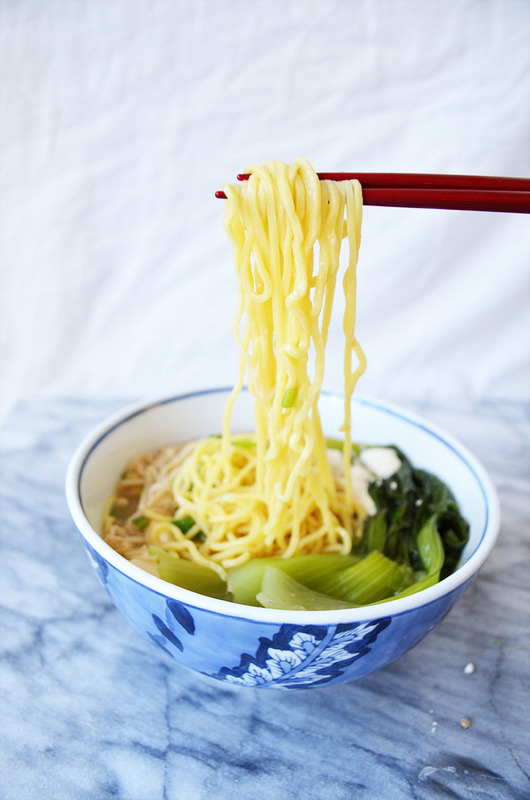 Divide the noodles into medium size bowls. If you’re making this for two (like me), store the leftover noodles in the fridge in the a ziplock bag until you want to have it again. 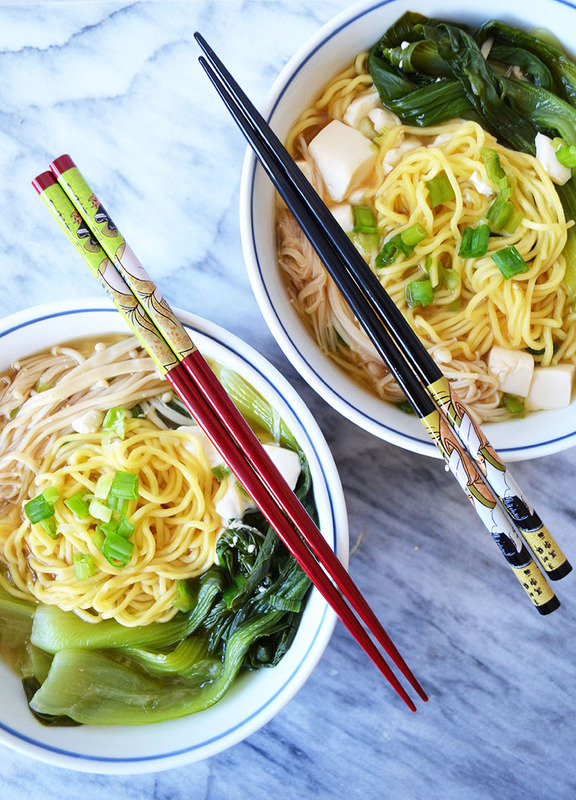 Ladle the broth over the noodles, then garnish with more sliced green onions. Enjoy & happy date night! Bring a pot of water to boil then season with salt. 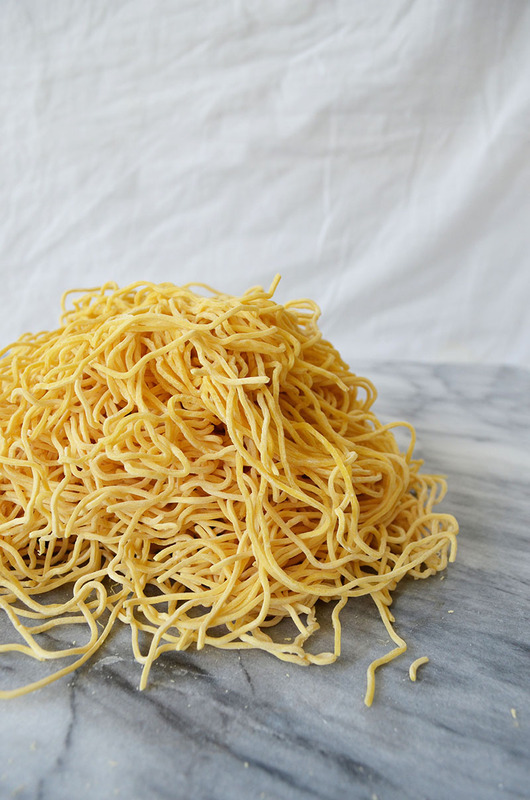 Stir in the noodles and cook for 1 minutes and 30 seconds - don't overcook! Drain the water then rinse with cold water to prevent them from sticking. Separate the noodles into 4 medium size bowls. Bring 1 quart of water to boil. 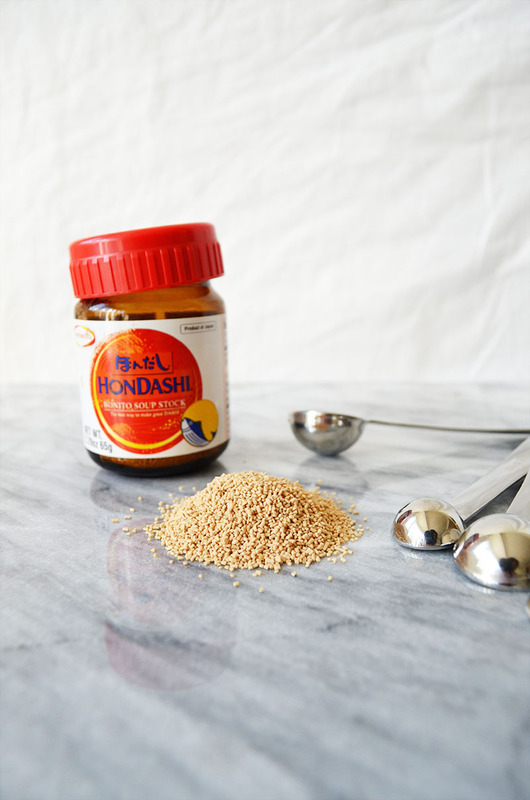 Whisk in the dashi granules and red miso paste. Add the enoki mushrooms, baby bok choy, and green onions. Cook for 5 minutes. Add the diced tofu, then reduce to a simmer and cook for another 5 minutes. Ladle the soup over the noodles. 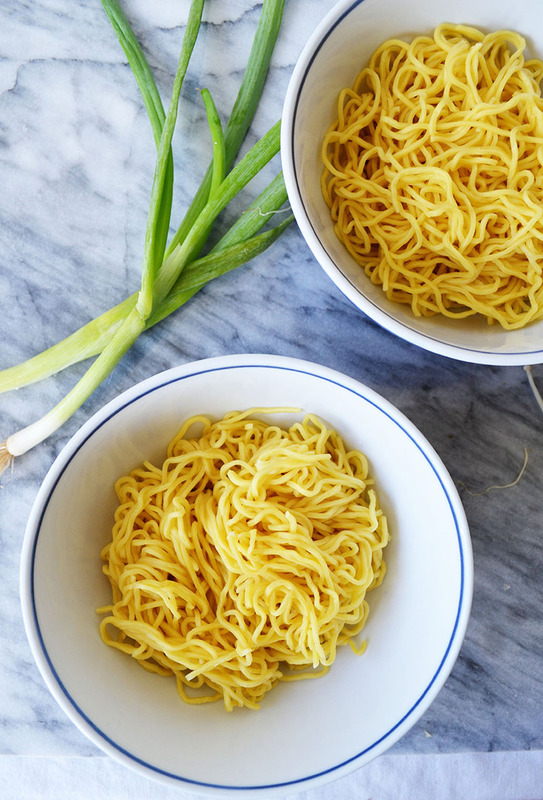 Garnish with more thinly sliced green onion and serve. This entry was posted in Entrees, Soups and tagged vegetarian. love ramen! the vegetarians in my household would definitely appreciate this dish. thanks for sharing the awesome recipe! Hi Thalia, I’m so glad! Enjoy!! I lived in Palo Alto for 4 years and I never made it to that theater! Ack! Your photos looks great, Connie! Thank you Nami!! 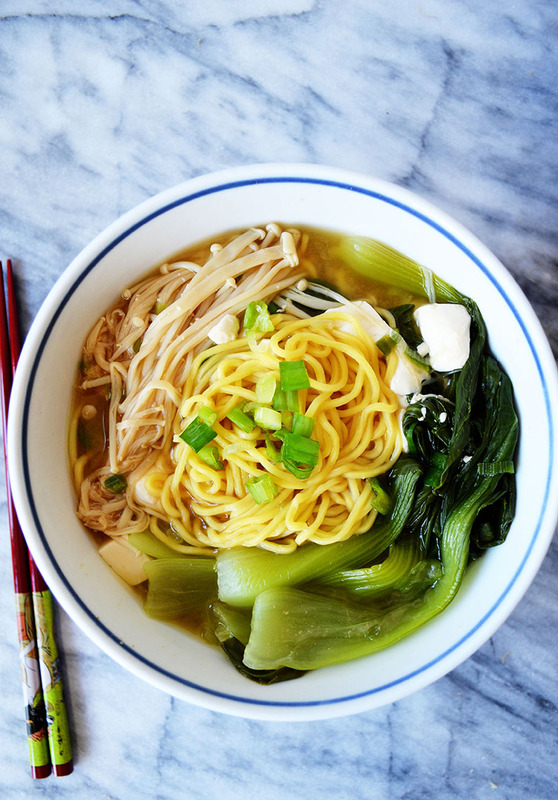 I agree, noodle dishes are my go-to comfort foods!